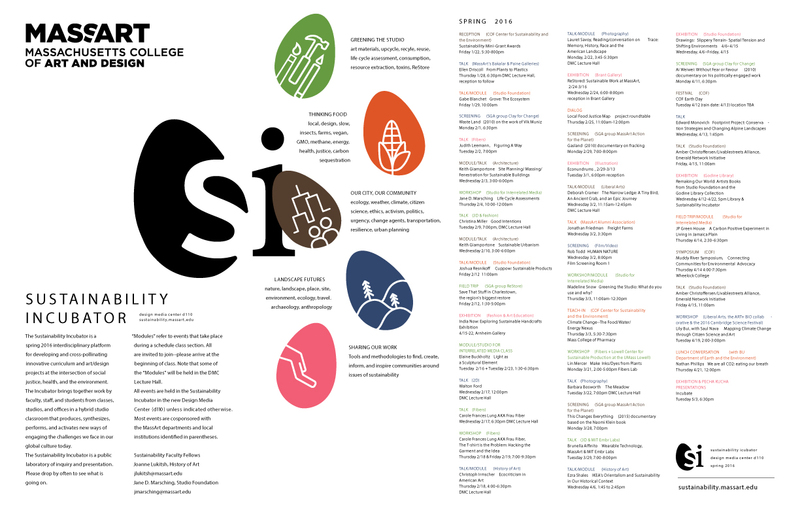 The Sustainability Incubator is a spring 2016 interdisciplinary platform for developing and cross-pollinating innovative curriculum and art/design projects at the intersection of social justice, health, and the environment. The Incubator brings together work by faculty, staff, and students from classes, studios, and offices in a hybrid studio classroom that produces, synthesizes, performs and activates new ways of engaging the challenges we face in our global culture today. The Sustainability Incubator is a public laboratory of inquiry and presentation. Please drop by often to see what is going on. “Modules” refer to events that take place during a schedule class section. All are invited to join–please arrive at the beginning of class. Note that some of the “Modules” will be held in the DMC Lecture Hall. All events are held in the Sustainability Incubator in the new Design Media Center (d110) unless indicated otherwise. 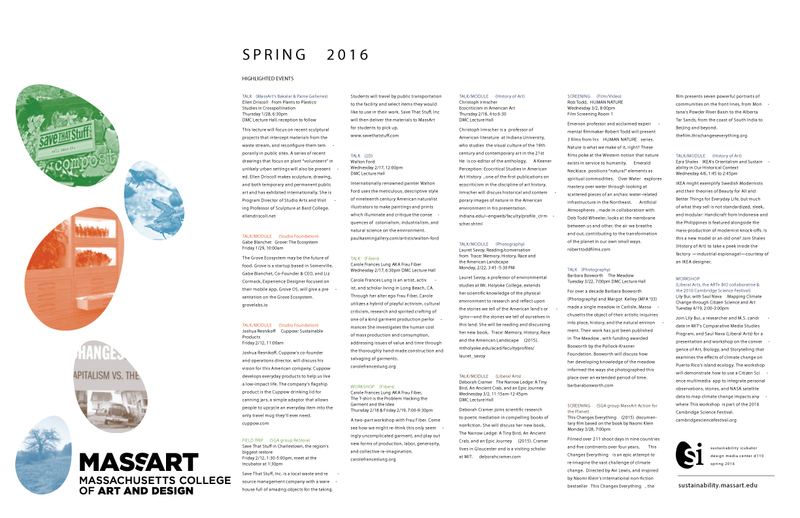 Most events are cosponsored with the MassArt departments and local institutions identified in parentheses.